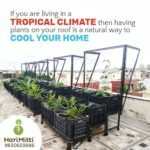 Growing Organic Vegetables In Kolkata? Now You Can Absolutely Do That Easily! Healthy eating should be one of the most important notions for the people don’t you think so? But then again can you guarantee that the food that you buy from the market is really safe in all the ways? Well in today’s world and especially in the era of chemical pesticides and biological hybrids can you guarantee that the food that you are eating will really benefit you in any way? It is highly suspicious as a matter. 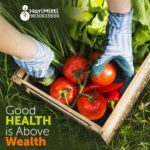 There is absolutely no doubt in the fact that when it comes to getting through with some of the most nutritious vegetables then it cannot be anything less than that of the organic ones. But there are more challenges here. Firstly you cannot make sure that the organic vegetables that you are buying a really organic. And secondly the organic vegetables are really expensive and this is only one of the most important reasons why you must have an alternative way for yourself. You can grow your own vegetables. You may think that it is a joke or it is really very tough to grow vegetables! But we at Harimitti can guarantee you that it is nothing as you perceive. You can absolutely have your own set of organic vegetables in Kolkata. But why should we eat organic vegetables? And why not? Do you believe that your ancestors were eating vegetables laced with pesticides and Chemicals? Do you think that the early human’s way into the processing of chemicals? But still they discovered farming and made much food into the staples that we eat today! Why and how is that? That’s completely no doubt in the fact that their vegetables were much more nutritious and healthy. The reason for the same was very simple and it is that they used to use natural manure and natural protectors. This absolutely ensures that their vegetable grows healthy and nutritious. 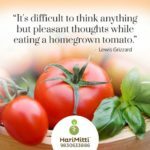 How do we help you grow your food? We believe in natural food consumption and organic vegetables only. This is one of the most important reasons why we have the most premium saplings of seeds that absolutely natural and untouched. We offer our consumers only with the premium quality of seeds and saplings so that they can grow their own premium trees in their own way. 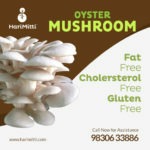 We have our own natural manure with us which we provide to the consumers as well. There is absolutely no harm in taking our vegetables. All being good! Why can’t I just buy the organic ones rather than investing time? Let us tell you four important reasons why you must make sure that you are in fact growing your own vegetables. The very first important reason why you must grow your own vegetable is that of the fact that it is absolutely free of pesticides and Chemicals if you want it to be. The second most important reason why you must actually take care of the same is that of the fact that gardening is an exciting hobby that can help you be stress-free of so many tiring things. Also, you must make sure that you are in fact growing your own vegetables because you do not want to spend a piece of heaven on buying them. There is completely no doubt in the fact that during the inflations as well as the time when the season changes the market price of the vegetables reaches Sky High. 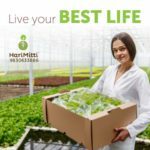 The most important and the final reason why you must absolutely grow your own vegetables is that we are there to help you. We have a team of professional caretakers who look after your garden for you. Also, we have a team of professional Botanical doctors who can actually give you an idea of how to take proper care of your plants. Nevertheless, we will provide you with the best available services for gardening in the forms of quality products. Then call us and you will be able to grow your own organic vegetables in Kolkata. Home Grown Organic Vegetables At The Best For You! Know How!